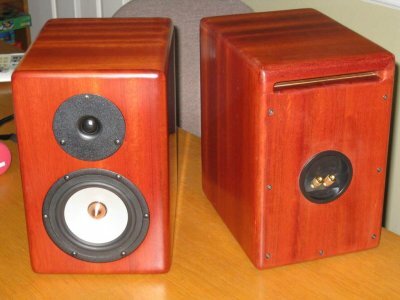 I finished the speakers about a week ago and they sound great. Thought you might like to see the finished project. P.S. Thanks Troels for the great project and all the help. 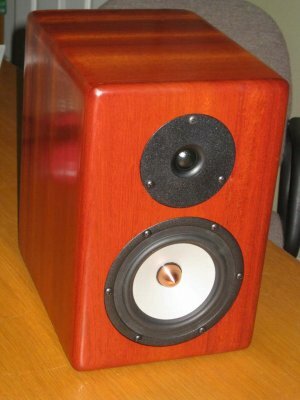 I'm not sure I would try bloodwood again, but it makes a great sounding and looking speaker. Which project to try next? I'm hooked! Fritz, thanks for your feedback and the pics. Lovely woodwork! 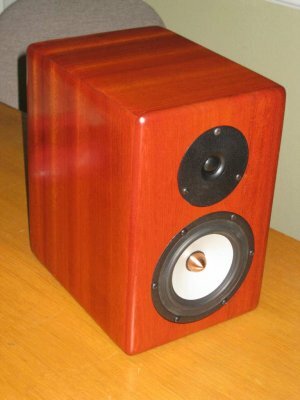 Bloodwood... these trees certaibly do not grow in Danish soil.